The GottaDeal.com Instant Deal Alerts Are Back - Get Alerted to Hot Deals! There are many hot deals that appear and sell out within a few minutes. To help you score these deals, we created the GottaDeal.com Instant Deal Alerts. This is an exclusive e-mail list which will only be used to send you alerts about the absolute hottest deals we find. For more information or to sign up, see this page. 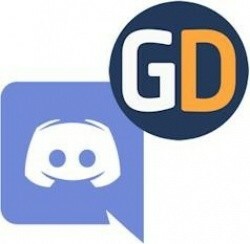 Join the New GottaDEAL Discord Server & Chat About Black Friday & More! We've just set up a new GottaDEAL Discord server for those of you who'd like to chat about Black Friday and anything else with other GottaDEAL visitors. You can access the server via this invite link. For those who are unfamiliar with Discord, it is a free text, voice and video chat service. You can access it via their apps or through a traditional web browser. The GottaDEAL Instant Deal Alerts Are Back - Get Alerted to Hot Deals! Get ready for Q4! There are many hot deals that appear and sell out within a few minutes. To help you score these deals, we created the GottaDEAL Instant Deal Alerts. This is an exclusive e-mail list which will only be used to send you alerts about the absolute hottest deals we find, as soon as we find them. For more information, see this page. Get ready for Prime Day! There are many hot deals that appear and sell out within a few minutes. To help you score these deals, we created the GottaDEAL Instant Deal Alerts. This is an exclusive e-mail list which will only be used to send you alerts about the absolute hottest deals we find, as soon as we find them. For more information, see this page. Q4 is here! There are many hot deals that appear and sell out within a few minutes. 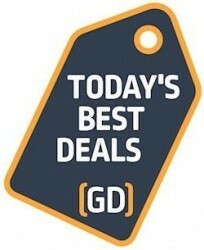 To help you score these deals, we created the GottaDeal.com Instant Deal Alerts. This is an exclusive e-mail list which will only be used to send you alerts about the absolute hottest deals we find. For more information or to sign up, see this page. Q4 is coming! There are many hot deals that appear and sell out within a few minutes. To help you score these deals, we created the GottaDeal.com Instant Deal Alerts. This is an exclusive e-mail list which will only be used to send you alerts about the absolute hottest deals we find. For more information or to sign up, see this page. Sign up to be ready for Prime Day! There are many hot deals that appear and sell out within a few minutes. To help you score these deals, we created the GottaDeal.com Instant Deal Alerts. This is an exclusive e-mail list which will only be used to send you alerts about the absolute hottest deals we find. For more information or to sign up, see this page. There are many hot deals that appear and sell out within a few hours or sometimes a few minutes. To help you score these deals, we created the GottaDeal.com Instant Deal Alerts. This is an exclusive e-mail list which will only be used to send you instant alerts about the absolute hottest deals that we find. For more information or to sign up, see this page. 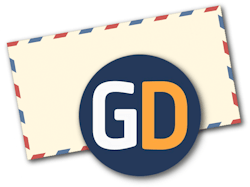 Would you like to get an e-mail every day with the latest deals posted on GottaDeal.com? Just click here to sign up and every day we will send out an e-mail with that day's deals. You can unsubscribe at any time, and your e-mail address will not be used for any other purpose. Join thousands of other deal hunters who are already getting these informative alerts every day. Final week for ordering shirts! 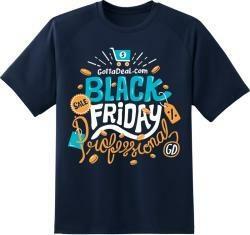 We're offering our popular Black Friday t-shirts for sale for a limited time. They are available for just $10 each with free shipping ($2 extra for 2XL and larger sizes). They are printed on premium Comfort Colors garment dyed 100% cotton t-shirts. Get them for your whole Black Friday shopping group! We're offering our popular Black Friday t-shirts for sale for a limited time. They are available for just $10 each with free shipping ($2 extra for 2XL and larger sizes). They are printed on premium Comfort Colors garment dyed 100% cotton t-shirts. Get them for your whole group! As we get closer to the holidays, there are many hot deals that appear and sell out within a few hours or sometimes a few minutes. To help you score these deals, we created the GottaDeal.com Instant Deal Alerts. This is an exclusive e-mail list which will only be used to send you instant alerts about the absolute hottest deals that we find. For more information or to sign up, see this page. Online Hot Deals: Every week, find hundreds of additional deals posted by our members. Target Perimeter Perusing: This is a sub-forum dedicated to Target Clearance deals & finds. Grocery Coupon Trains: A great way to get grocery coupons & share your unused coupons. There are many hot deals that appear on a retailer's site and sell out within a few hours or sometimes a few minutes. To help you score these deals, we created the GottaDeal.com Instant Deal Alerts. This is an exclusive e-mail list which will only be used to send you instant alerts about the absolute hottest deals that we find. For more information or to sign up, see this page. Every year around this time, Amazon.com begins to deeply discount a large selection of toys on their site. We have a thread on our forum where our members are posting the latest toy deals they are finding. So check it out, bookmark it or subscribe to it for updates. Also sign up for a free 1-month trial of Amazon Prime if you don't already have it to maximize your savings. This time of year there are hot deals that appear on a retailer's site and sell out within a few hours or sometimes a few minutes. To help you score these deals, we created the GottaDeal.com Instant Deal Alerts. This is an exclusive e-mail list which will only be used to send you instant alerts about the absolute hottest deals that we find. For more information or to sign up, see this page. Often there are hot deals that appear on a retailer's site and sell out within a few hours or sometimes a few minutes. 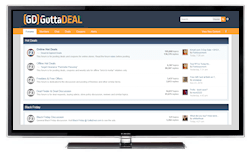 To help you score these deals, we recently introduced GottaDeal.com Instant Deal Alerts. This is an exclusive e-mail list which will only be used to send you instant alerts about the absolute hottest deals that we find. For more information or to sign up, see this page. It's back! Often there are hot deals that appear on a retailer's site and sell out within a few hours or sometimes a few minutes. To help you score these deals, we recently introduced GottaDeal.com Instant Deal Alerts. This is an exclusive e-mail list which will only be used to send you instant alerts about the absolute hottest deals that we find. For more information or to sign up, see this page. Black Friday Forums: Discuss all Black Friday topics with your fellow die-hard shoppers. Would you like to get an e-mail every day with the latest deals posted on GottaDeal.com? Just click here to sign up and every day we will send out an e-mail with that day's deals. You can unsubscribe at any time, and your e-mail address will not be used for any other purpose. Join thousands of other deal hunters who are already getting these informative alerts every day.